Please note that article processing charges for Advances in Science and Research (ASR) will slightly increase on 1 January 2016. In cooperation with the TIB|AV-Portal ASR authors can now add short, citable video abstracts and video supplements to their articles. Advances in Science and Research (ASR) has received the new DOAJ Seal which recognizes journals with an exceptionally high level of publishing standards and best practice. Advances in Science and Research (ASR) has become a member of the Committee on Publication Ethics (COPE) and thereby subscribes to the principles of COPE. The ASR website has been given a new look, and the navigation has been adjusted. 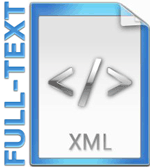 Advances in Science and Research (ASR) has started an XML-first workflow and will provide all new articles in full-text XML from now on. ASR has implemented publication ethics in order to guarantee high scientific and ethical standards. ASR has just published its new data policy.